Most journalists would recognise the feeling when an hour from your flight, deep into that feature that needs to go live asap, you realise you checked in your charger, and have a sense of foreboding on whether your battery might last you to the whole distance. Cursor down, and you have a massive sense of satisfaction at the 8hr 12mt, 73% notification that you get. And that’s just one of the many reasons the Huawei MateBook 13 laptop brings joy into your working life. Starting with design, a very good display, typing experience, and of course the battery life. Come to the design aesthetics, and this is one all-metal device that could turn a head or three. 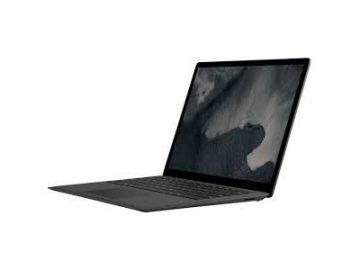 It’s full metal chassis comes in dark gray or silver, and its superthin, three-quarters of an inch narrower than the MacBook Air. That’s thanks to extremely trim side bezels and the fact that there are no speakers on the top deck. I almost always use headphones to play music, so the potentially negative impact of the speakers being on the underside of the device largely is not a matter of bother. 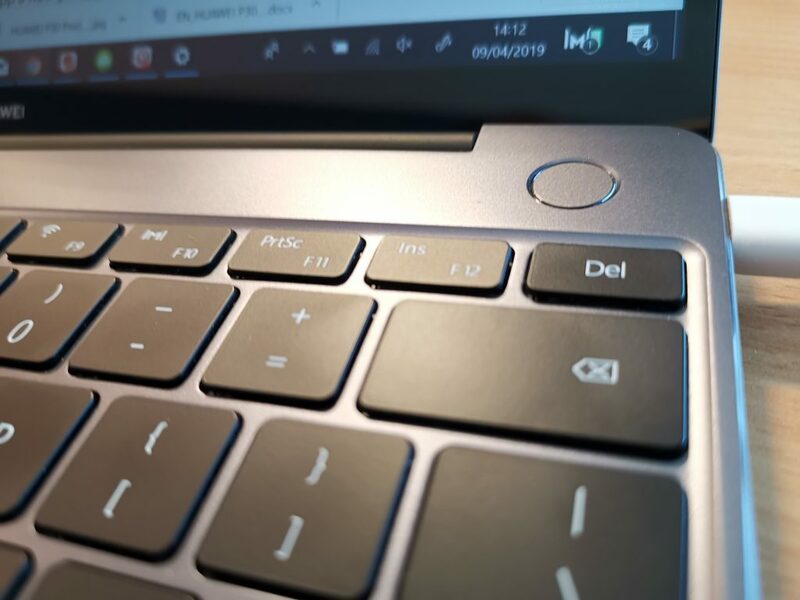 I loved how the webcam was a pop-up key in the keyboard’s function row on the MateBook X Pro, here the webcam is placed in the standard position above the display. Meaning one needs to invest in a slider to block it. Come to the all-important screen, and the MateBook 13 truly surprises. 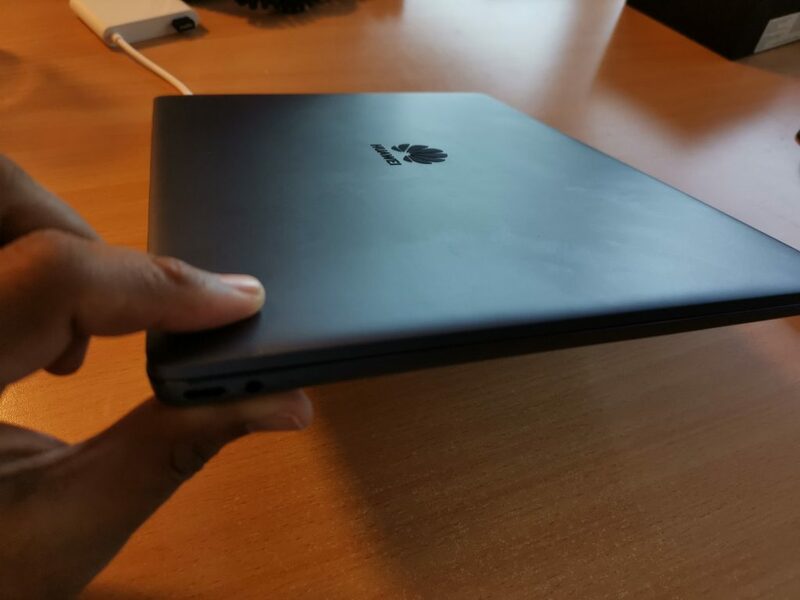 The MateBook’s 13″ 2560 x 1440-pixel display with up to 318 nits of brightness is all about detail, and as I watched Keanu Reeves take on the world’s best assassins, dark alleys, posh hotels et al, I was much impressed by how the black reproduction was. Impressive. Come to the all-important typing experience, one reason why I don’t prefer the other Book, and the MateBook is incredible. The keys are placed just right, very responsive, and mind you, my day device was the X1 Carbon, so that’s pretty high praise. And then there’s Huawei Share. 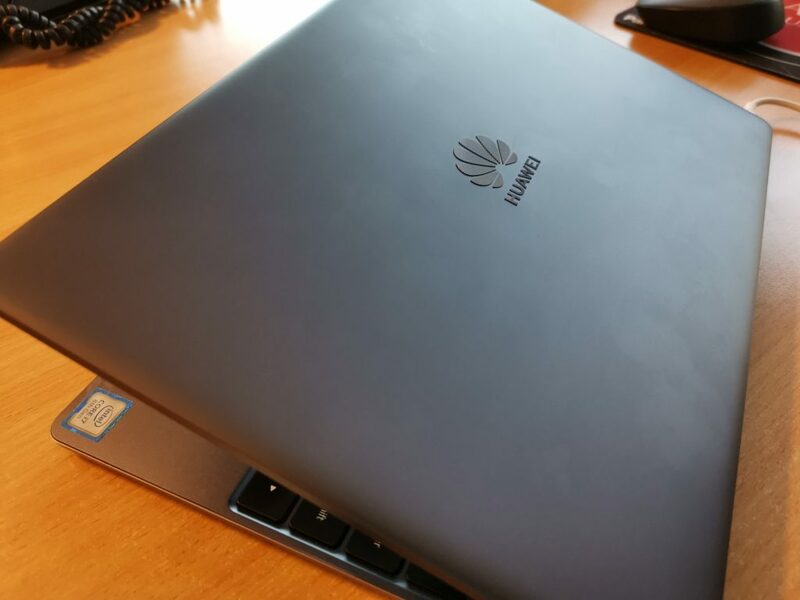 A brilliant concept here, link your Huawei phone to the MateBook 13, a mere tap of the device on the Huawei Share Badge, and your pics and videos get transferred without being connected to the net! Brilliant! So it all hunky dory? Not exactly, for the trackpad on the device is something Huawei could optimise so much more. The relative lack of responsiveness meant I was using a mouse. But that’s a small niggle in an otherwise brilliant computing experience. 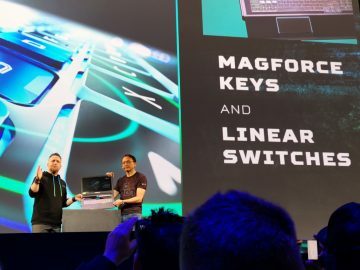 The device comes with dual USB Type-C ports — one draws power; the other includes DisplayPort technology for extending your screen — and a headphone jack, though neither of those Type-C ports are Thunderbolt 3. Huawei includes a multiport adapter with the device. 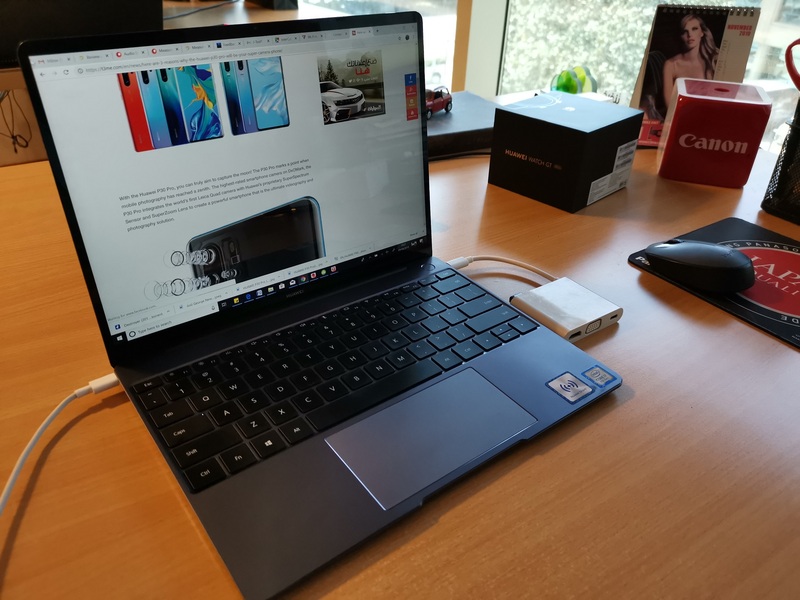 There are two incarnations of the Huawei MateBook 13 in our part of the world, an Intel Core i7 processor with Nvidia MX150 discrete graphics chip and a 512GB SSD [AED 3,999] and the second version which has an 8th-gen Intel Core i5 processor with integrated graphics and 256GB SSD [AED 2,999]. 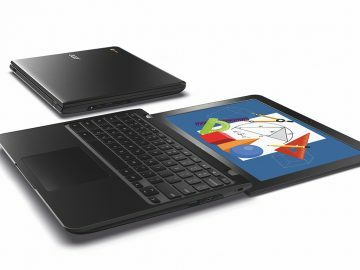 Both contain the same 13-inch, 2,560 x 1,440 (220 pixels per inch) touchscreen in a 3:2 aspect ratio as well as a fingerprint reader embedded into the power button. Our end conclusion? The Huawei MateBook 13 is a true productivity powerhouse, with a boast-worthy display and battery muscle!